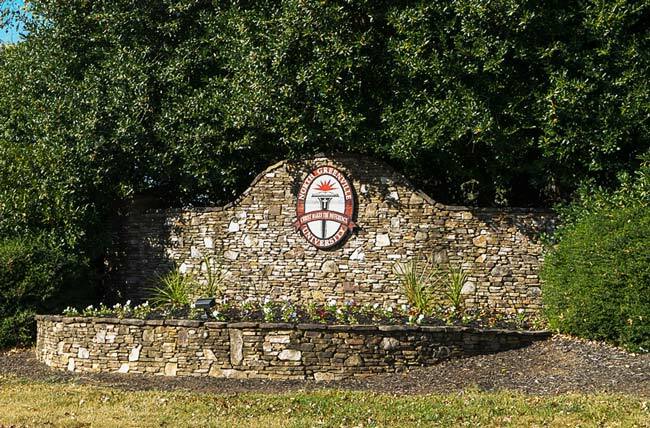 North Greenville University in Tigerville sits nestled among the Foothills of South Carolina. The college began as a high school for students from the mountains surrounding northern Greenville County. 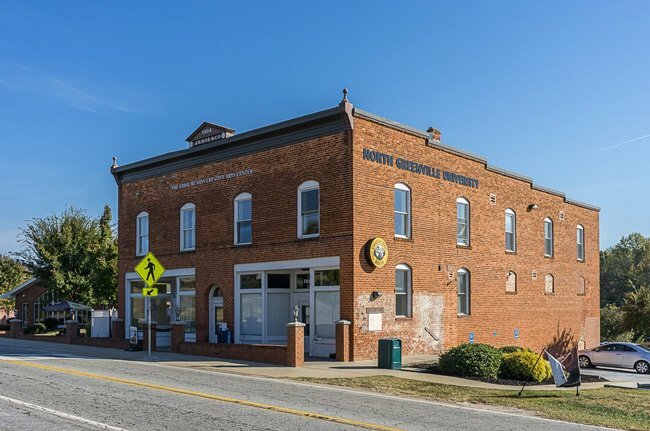 First called North Greenville High School, it was founded following a meeting of the North Greenville Baptist Association in October of 1891 during which a school for local students was proposed. Benjamin F. Neves donated ten acres near Paris Mountain for the campus, and the first building was completed in 1892. The school opened its doors in January of 1893. The high school was chartered by the state in 1904, but the following year the Home Mission Board of the Southern Baptist Convention took over operations of the school as a mountain mission school. The school’s name was changed to North Greenville Baptist Academy in 1915, and in 1929 it again came under the governance of the North Greenville Baptist Association until 1949, when control was transferred to the South Carolina Baptist Convention. In 1934 the school added a junior college to its program, and in 1957 it became an accredited two-year liberal arts college, eliminating the high school. By then the school as known as North Greenville Junior College. In 1994 the school received accreditation as a four-year college, and today the school, now called North Greenville University, also includes five graduate school programs. 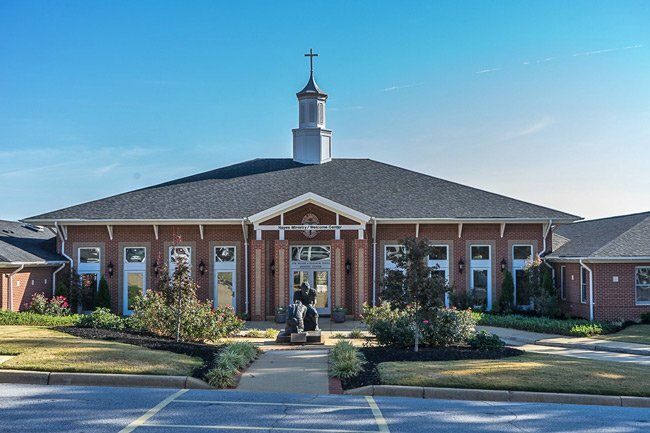 Built in 1996, the Hayes Ministry Building (shown above) also serves as the school’s welcome center. The building houses the Paul E. Moore Hall and the Thomas C. “Nap” Vandiver Suite as well as administrative offices. 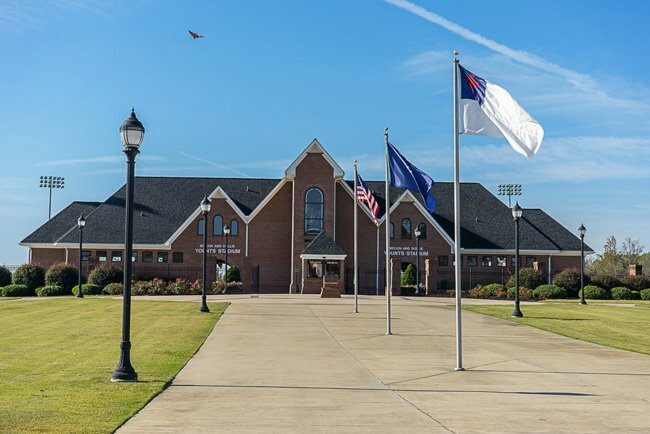 Pictured above is the Melvin and Dollie Younts Stadium, a 3,500-seat athletic stadium that is home to the North Greenville University Crusader football team. The stadium was built in 2005. The A-frame stone chapel seen above, called the Todd Prayer Chapel, offers meditative views of the nearby mountains. Named for Elton and Doris Todd of Greer, the chapel includes a stained glass window created by Lou Ellen Beckham-Davis of Greenville. 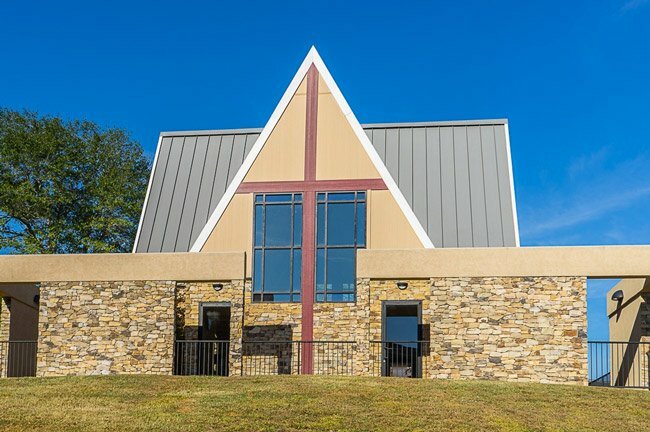 The chapel was dedicated in April of 2016. The Eddie Runion Creative Arts Center, seen above, is a converted store. The former Roe General Store was renovated for the school with a donation from Kathy Runion Varner in memory of Eddie Runion. The building is home to the university’s ROTC program, a bagel shop, and a student arts center. Students also like to study off campus at the historic Tigerville General Store, which serves pizza. The use of a pre-existing building is exemplary of the school’s mixture of old and new structures. North Greenville University serves a student body of nearly 2,500.